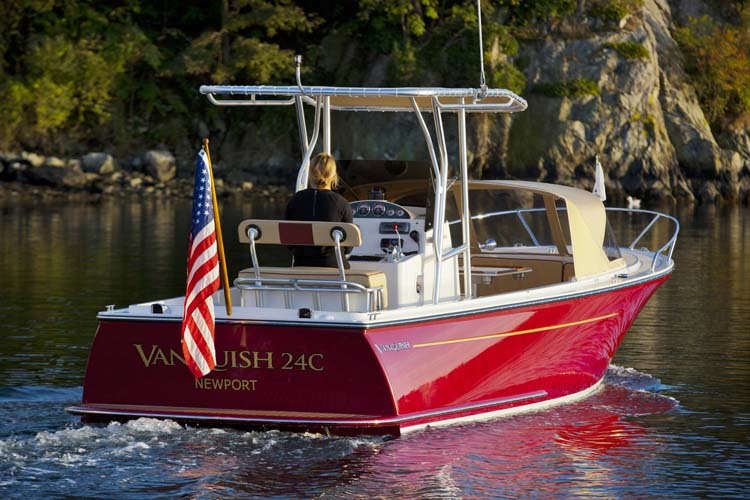 Vanquish’s new 24-footer harkens back to boating’s glory days. One of the treats of visiting California’s Lake Tahoe or Florida’s Harris chain of lakes in Mount Dora is the presence of vintage boats. In fact, both locations play host to vintage boat shows. Everyone, it seems, loves an old mahogany runabout with a tumblehome transom. 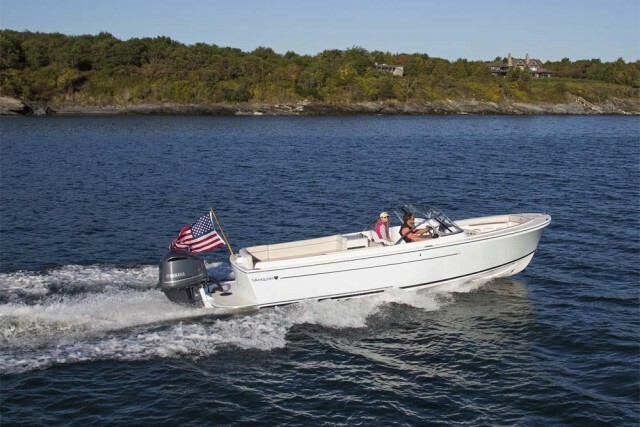 The Vanquish combines the look and feel of a classic boat with modern materials and drivetrain. Not everyone enjoys the upkeep wooden boats require, though, and it’s the lack of need for high-level of maintenance that makes the new runabout from Vanquish Boats so alluring. It has the look, feel and design of those older boats we all love so much. But it’s made with modern materials and drivetrains. 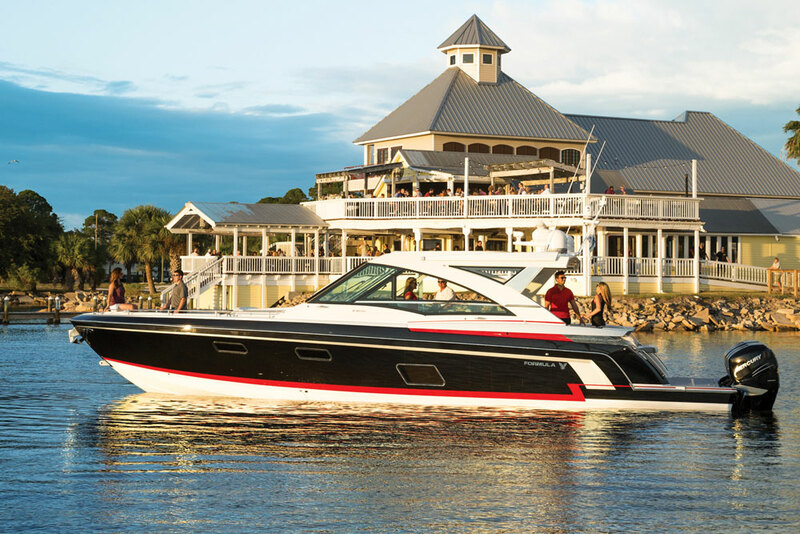 Standard power comes in the form of a 330-horsepower small-block V8 from Crusader Marine. No more searching for hard-to-find engine parts here. 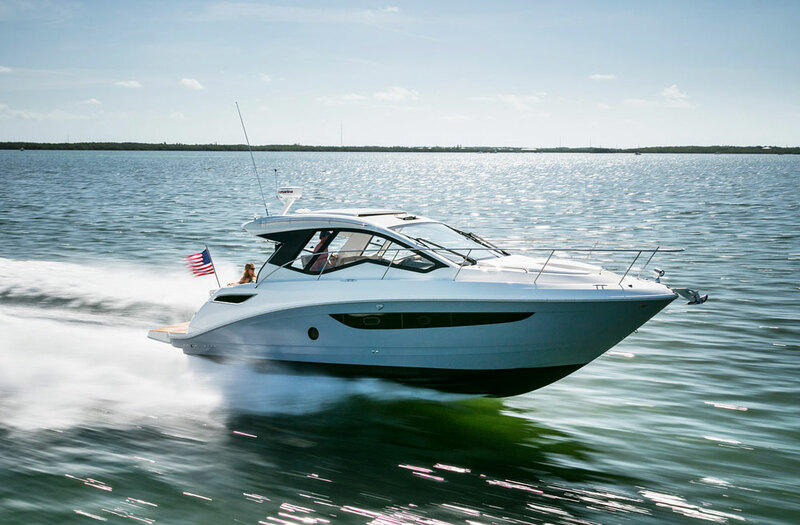 That kind of horsepower should push the 4,100-pound runabout along nicely—company literature says it cruises at 38 mph—but Vanquish also offers as an option a 260-horsepower turbocharged, direct-injected six-cylinder Yanmar diesel engine. As much as there is to love about the sound of a V8 exhaust note, there is a lot to like about the frugality of diesel power, particularly in marine applications. Vanquish also offers a center-console version of the boat. A semi-custom boat, the Vanquish runabout is available in five distinct colors: white, fighting lady yellow (whatever that means), arista blue, jade mist green and claret—and it looks good in any of them. In addition to choices in hull color, the Vanquish can be fitted with a number of canvas options, including storage covers and biminis. 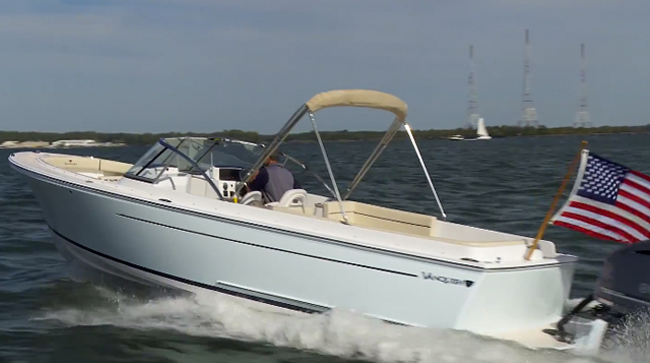 There is an option for teak deck surfaces, and Vanquish even offers a center-console version of the boat. 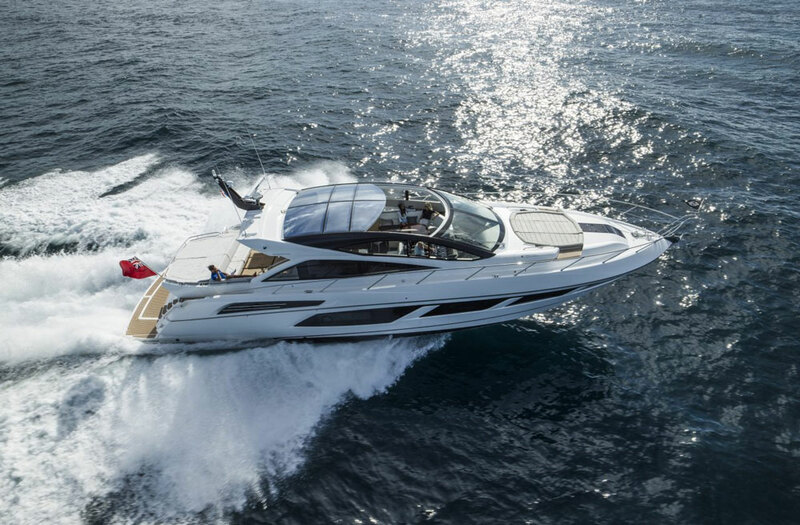 The Vanquish features a propeller “pocket” on the center of its hull, which accomplishes a few objectives. It decreases the amount of draft to 19 inches so you can operate in more places. It also permits less propshaft angle, which means more of the propulsion force is pushing the boat forward. It also allows the engine to be mounted deeper in the hull for a lower center of gravity. The Vanquish features two swivel bucket seats up front. The hull features wide lifting strakes for easy planing and a sharp entry for cleaving through chop. The bow is steeply flared to knock down spray and keep it out of passengers’ faces. The Vanquish features two swivel bucket seats up front, a small bench on the front of the engine box, and a full-width bench at the stern. With a closed bow, the Vanquish runabout has lots of stowage up front, with two in-sole lockers forward of and behind the engine box and, of course, beneath the aft bench. There are also small cubby stowage areas in the coaming panels front and rear to port and starboard and a glove box in the dashboard. Its construction is modern by any standard. The self-bailing deck and hull liner are one piece, which makes for a stronger finished product. The tumblehome design of the hull is possible because of Vanquish’s clever two-piece mold, no easy task. The hull and deck are fully cored, and use top-quality vinylester resin. All hardware is through-bolted with backing plates. The engine mounts, too, are through-bolted. Refitting old boats with modern powertrains is a practice that has been around a while. But even after the retrofit is complete, it’s still an old boat with all the maintenance that comes with the territory. With the conveniences our time-strapped culture demands, the Vanquish runabout is a great way to get into something that has an old-school feel, yet is genuinely new in every way. 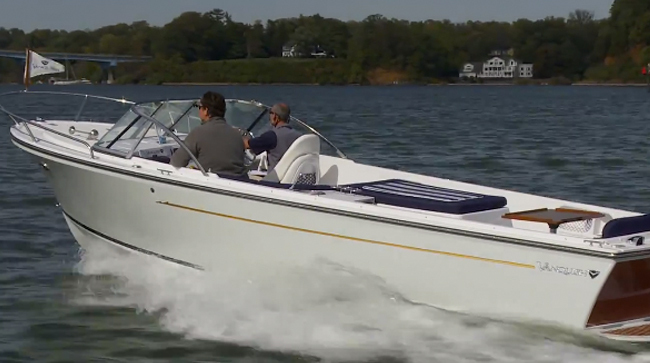 Prices are as custom as the boat, but the base model starts at $92,500. 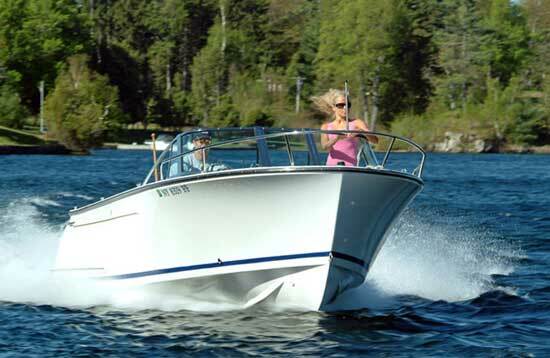 For more information, read Vanquish 24 CC: A Boat with Blue Blood or visit the Vanquish Boats website.